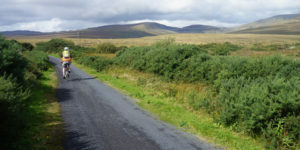 The Wicklow Way has been Ireland’s favourite hiking trail for a good while and there is a range of great reasons for it. 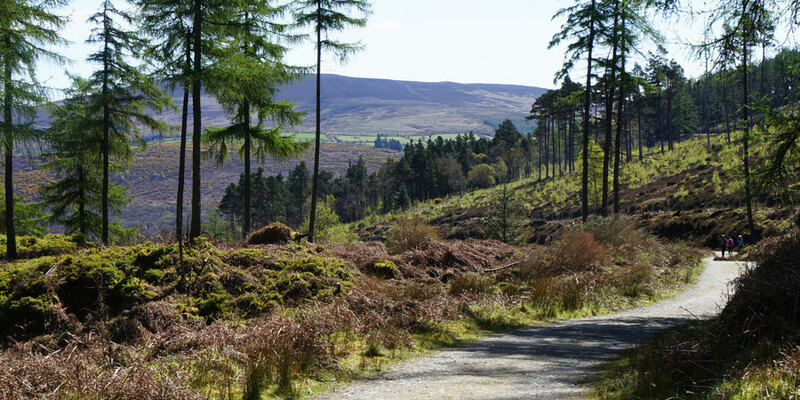 The trail sets off from the country lanes and gently rolling hills around the villages of Clonegal and Shillelagh before taking hikers into the heart of the Wicklow Mountains and its stunning Natural Park. As hikers reach Glendalough, the views of the ‘valley of the two lakes’ are breathtaking but don’t stop here… as we continue on our way to Dublin City, more lakes and phenomenal views await: Lough Tay also known as the Guinness Lake, Powerscourt Waterfall and sweeping views of Dublin Bay are there to reward our efforts. 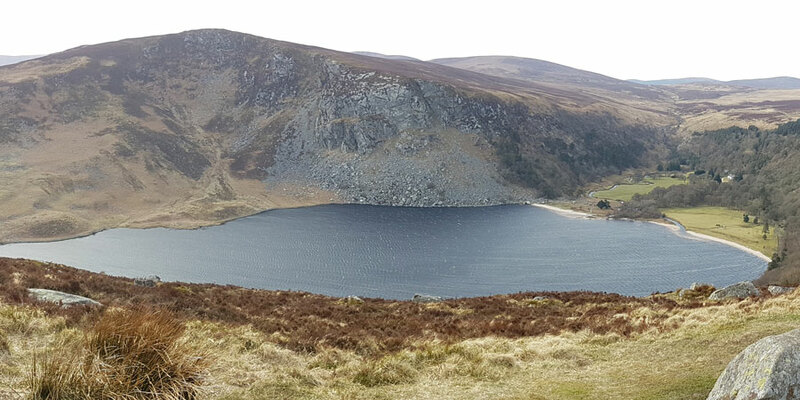 For more details and to book a tour go to: Hiking the Wicklow Way. 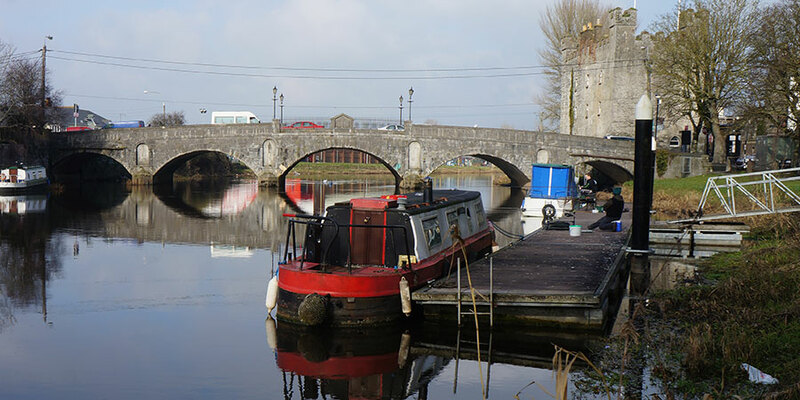 From the mountains of Wicklow we move to the village of Athy by the River Barrow and we get ready to go with the flow on The Barrow Way. 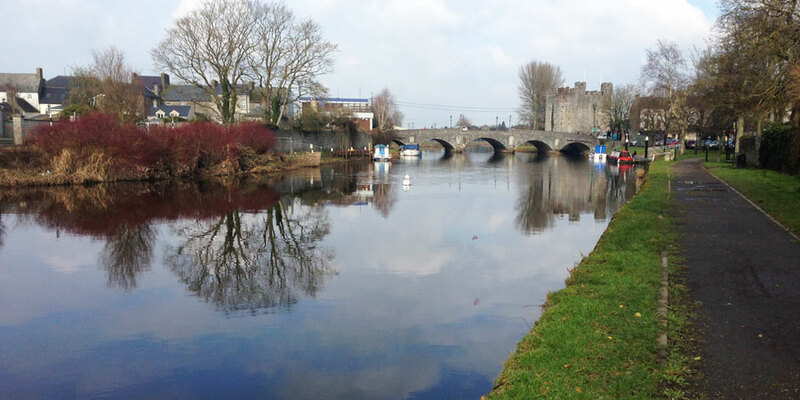 This is a very flat and easy hike, following the tow path of the Barrow River, meandering softly through the Carlow and Kilkenny farmland; it’s perfect for all levels of fitness and ages. The Barrow Way has its own interesting history as the path of this hiking trail was originally used by horses pulling barges and boats to factories along the river. Mills and locks along the way remind us of the area’s 19th century industrial past. The malt from Levittstown Mill for instance was taken by boat up the River Barrow all the way to the Guinness Brewery in Dublin City were it would be a key ingredient in the making of the famous ‘black stuff’. 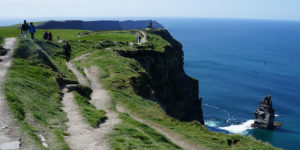 In addition to the relatively recent industrial history, the trail is also dotted with pretty medieval and Norman castles, bridges and abbeys such as Woodstock Castle in Athy, the Black Castle in Leighlinbridge and the monastic site in the village of St Mullins, our final destination. 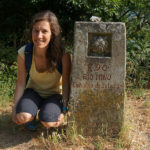 For more details and to book a tour go to: Hiking the Barrow Way. 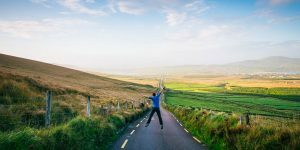 The West of Ireland is stunning any time of the year but Autumn months give hikers and indeed cyclists an opportunity to experience its full beauty and charm at a slower pace. With Summer visitors gone, it’s time to take to the road and trails! 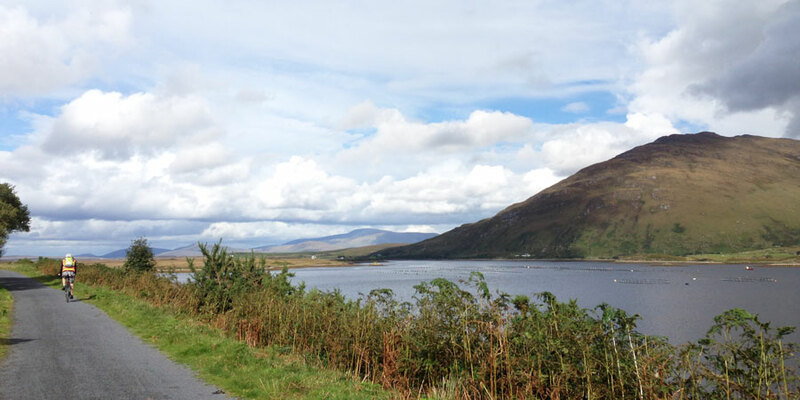 There are many reasons to love the Great Western Greenway but we’ll pick our two favourites: the never ending beauty of the Wild Atlantic Way and the luxury of having a mostly traffic-free cycling lane all to yourself. 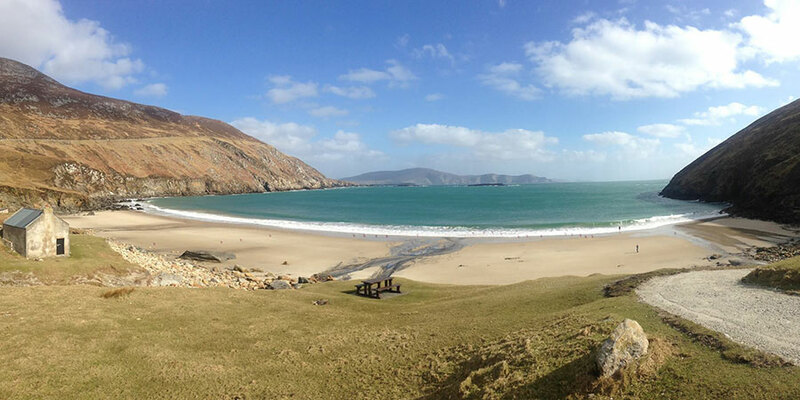 For more details and to book a tour go to: Hiking the Achill Island Greenway or Cycling the Achill Island Greenway.